Tension Structures now offers cost effective and easy to install solutions for outdoor entertainment areas for the hospitality sector; or even in your own home. Find out about the splendid events that happen daily under our Architectural Umbrellas & Gazebos by following our series – Under the Umbrella. 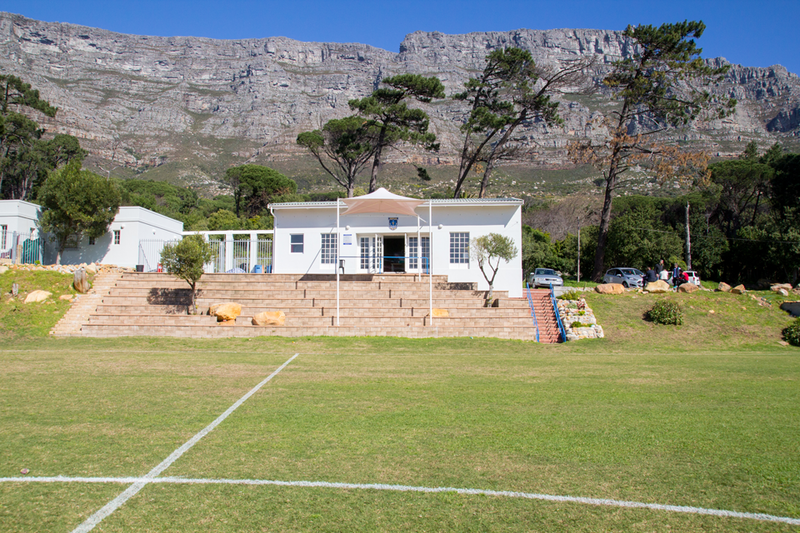 Herzlia High School in Vredehoek’s main sports fields sit against the majestic backdrop of Table Mountain. 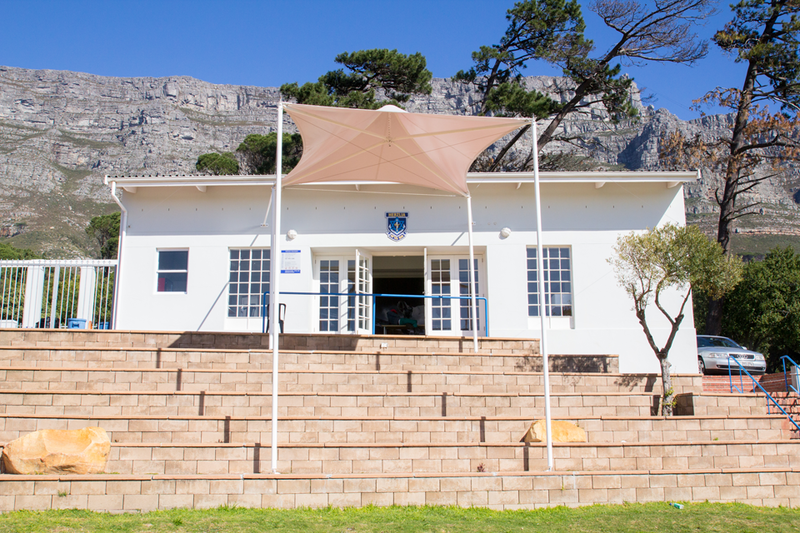 Herzlia host regular soccer fixtures on the field and spectators are able to support from the permanent grand stands stepping down from the sports club house overlooking Table Bay with 360 degree views of beauty. Tension Structures was commissioned to provide and install on of its architectural gazebos to provide shade and protection from the elements over the grand stands. The elevation of the clubhouse and grand stands required that the shade structure that covered it be supported by extra-long posts grounded at the lowest level of the stands reaching up to the height of the clubhouse roof. As Cape Town is notoriously windy in the early Summer months, and for parts of Winter, the integrity of the structure was paramount, despite the stilt like steel support posts. Not only was it important that the posts held, but too the fabric structure gazebo providing the shade on top. Made with the best quality white Ferrari fabric, the translucency allows for light to penetrate beneath providing protection from the elements without blocking out the beauty of a sunny winter sports day at the spectacular venue. 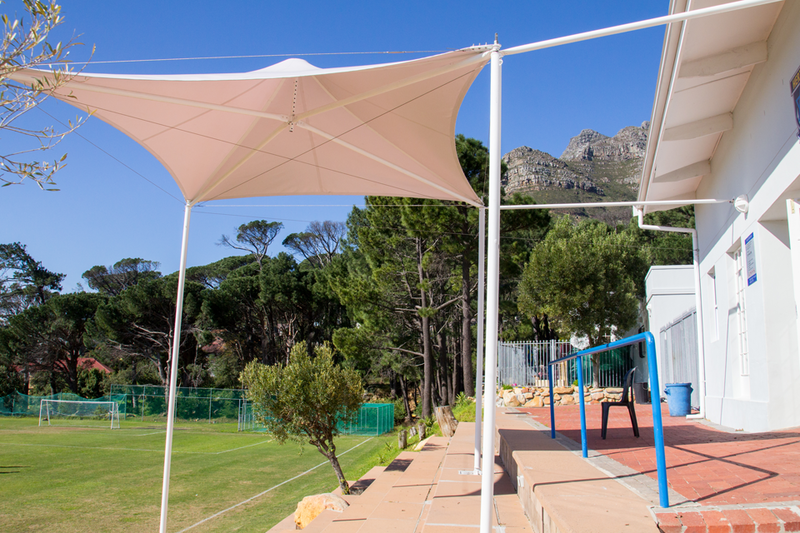 While only one structure has been erected thus far, the intention of the school is to expand the shading across the full width of the grand stand using joining gazebos. Tension Structures gazebos are designed precisely to be installed alongside one another with ease for longer patios or stands. They are a cost effective solution that are available in a variety of set sizes for ease of purchase and quick installation.